This article is about the racing series. For its sanctioning body, see IndyCar. For the video game based on the series, see IndyCar Series (video game). The IndyCar Series, currently known as the NTT IndyCar Series under sponsorship, is the premier level of open-wheel racing in North America. Its parent company began in 1996 as the Indy Racing League (IRL), which was created by then Indianapolis Motor Speedway owner Tony George as a competitor to CART. In 2008, the IndyCar Series merged with the Champ Car World Series (formerly CART). The series is self-sanctioned by IndyCar. The series' premier event is the Indianapolis 500. The league reverted to the Indy Racing League name for the 2002 season, with no title sponsor. The IndyCar Series name was officially adopted beginning in 2003, as the series was now legally entitled to use it. 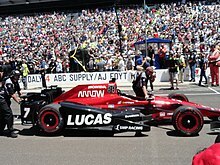 In 2006, IndyCar forged an alliance with Simmons-Abramson Marketing (headed by Gene Simmons of the hard rock band Kiss), promising to be "actively engaged in the league's marketing, event, public relations, sponsorship, merchandising and branding efforts—from its IndyCar Series to the venerable Indianapolis 500". Simmons also co-authored the new IndyCar theme song, "I Am Indy". For the 2008 season, DirecTV served as a presenting sponsor, although this deal only lasted one year due to objections by the series' new cable broadcaster Versus, as it was owned by competitor Comcast. Izod was announced as the series title sponsor beginning on November 5, 2009. Exact financial terms were not disclosed but the deal was reported to be worth at least $10 million per year for 5 years, but ran only 4 of the originally announced 5 seasons, as Izod ended its sponsorship after the 2013 season. In 2014, Verizon Communications became title sponsor of the series through 2018. Verizon declined to renew the deal. In January 2019, it was announced that Japanese communications company NTT would become title sponsor and official technology partner of the IndyCar Series. Its U.S. subsidiary NTT Data has been a sponsor of Chip Ganassi Racing since 2013. Since the series inception, IndyCar Series events have been broadcast in the United States on several networks, including ABC, CBS, ESPN, Fox Sports Networks, and TNN. Beginning in 2009, Versus (now NBCSN) began a 10-year deal to broadcast 13 IndyCar races per season, whereas the remaining races, including the Indianapolis 500, would remain on ABC through 2018. As of the 2018 season, ABC aired 5 races per-season (plus two days of qualifying for the Indianapolis 500), with NBCSN or other NBCUniversal networks (in the event of scheduling conflicts) airing the remainder of the schedule. On March 21, 2018, it was announced that NBC Sports would become the sole U.S. rightsholder of the IndyCar Series beginning in 2019, under a new three-year contract. NBCSN will continue as the primary broadcast outlet for most races, and overflow content will be available through its subscription service NBC Sports Gold. Eight races per-season will be televised by NBC—including the Indianapolis 500, marking the first time in 54 years that the race will not be televised by ABC. In the United Kingdom, since the launch of BT Sport in August 2013 races are shown on one of the BT branded channels or ESPN. Previous to August 2013, the IndyCar Series races were broadcasts on the Sky Sports family of networks, with the viewing figures of the IndyCar races in the UK outnumbering those of NASCAR races. The IndyCar Series also had highlights of all the races on the channel Five British terrestrial channel and Five USA, but has since been discontinued since the 2009 season. In Portugal, all of the IndyCar Series are broadcast on Sport TV. In February 2013, Sportsnet announced that it would become the official Canadian broadcaster of the IndyCar Series beginning in the 2013 season in a five-year deal with the series. The new contract will include broadcasts on the Sportsnet regional networks, Sportsnet One, and City, along with mobile coverage and French rights sub-licensed to TVA Sports. Additionally, Sportsnet would also originate coverage from the Firestone Grand Prix of St. Petersburg, Indianapolis 500, and Honda Indy Toronto with Bill Adam, Todd Lewis, and Rob Faulds. Canadian driver Paul Tracy also joined Sportsnet as an analyst. Rede Bandeirantes and DAZN serve as the Brazilian broadcast partners in that country since 1986 and 2019, respectively. Grupo Bandeirantes sports channel BandSports also show live races and race highlights. ESPN has been the international broadcast partner of IndyCar Series in Latin America (except in Brazil). 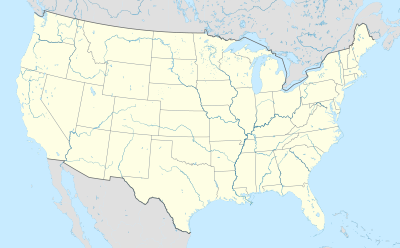 Eurosport has been the international broadcast partner of IndyCar in most of Europe (except in Bosnia and Herzegovina, Russia and the United Kingdom). In the late 2000s, the official website streamed online all races, qualifying and practice sessions unrestricted. That service is now limited in the United States to television subscribers of the respective television network broadcasters. The IndyCar Series is not an open formula motor sport archetype. A spec-series, the league mandates chassis and engine manufacturers which teams must use each season. The league mandates horsepower level, aerodynamic configuration, and maximum engine speed to which all entrants must adhere. The league also mandates direct control over all drivers, with an officially designated race boss in race control headquarters, maintaining constant two-way radio communication with each driver during every race. The league's choice of manufacturers are reviewed every three years. Currently, Dallara provides a specification chassis to all teams, with Honda and Chevrolet providing IndyCar its engines. Teams are prohibited from performing engine or chassis modifications. In the series' first season (1996), 1992 to 1995 model year CART chassis built by Lola and Reynard were used. The first new Indycar came into being in 1997. Tony George specified new technical rules for less expensive cars and production-based engines. The move effectively outlawed the CART chassis and turbocharged engines that had been the mainstay of the Indianapolis 500 since the late 1970s. Starting with the 2003 season, the series rules were changed to require chassis manufacturers to be approved by the league before they could build cars. Prior to that, any interested party could build a car, provided it met the rules and was made available to customers at the league-mandated price. In total, four manufacturers have built IndyCar chassis. Dallara began producing Indycars for the 1997 season. The Dallara and G Force chassis were relatively evenly matched over their first few seasons, but eventually the Dallara began to win more races. This caused more teams to switch to the Dallara, further increasing their success. As of 2017, a Dallara chassis has been used by 17 Indy 500 winners, although there have not been any competing manufacturers since 2008. Dallara was also tabbed to build the Firestone Indy Lights machines. After the withdrawal of factory support from Panoz Auto Development, they are the only supplier of new chassis. The G Force chassis was introduced in 1997, and won the 1997 and 2000 Indy 500 races. In 2002, Élan Motorsport Technologies bought G Force, and the chassis was renamed "Panoz G Force", and then shortened to "Panoz" in 2005. In 2003 a new model was introduced, and it won the Indy 500 in 2003–2004, and finished second in 2005. It fell out of favor starting in 2006, and by then, only one finished in the top ten at Indy. Little factory support was given to IndyCar teams by Panoz after that point, as they had concentrated on their DP01 chassis for the rival Champ Car World Series. By 2008, only one Panoz saw track time, an aborted second weekend effort at Indy, that resulted in Phil Giebler being injured in a practice crash. Riley & Scott produced IndyCar chassis from 1997 to 2000. Their initial effort, the Mark V, was introduced late in the 1997 season, severely limiting its potential market. It also proved to be uncompetitive. After Riley & Scott was purchased by Reynard, an all-new model, the Mark VII, was introduced for the 2000 season. It won in Phoenix, the second race of the season (driven by Buddy Lazier), but was off the pace at Indy and was quickly dropped by its teams. Falcon Cars was founded by Michael Kranefuss and Ken Anderson in 2002 as the third approved chassis supplier for the 2003 season. One rolling chassis was completed and shown, but it was never fitted with a working engine and never ran. No orders were ever filled. Superficially, IndyCar machines closely resemble those of other open-wheeled formula racing cars, with front and rear wings and prominent airboxes. Originally, the cars were unique, being designed specifically for oval racing; for example, the oil and cooling systems were asymmetrical to account for the pull of liquids to the right side of the cars. Later cars were designed to accommodate the added requirements of road racing. Because of a preexisting schedule conflict, the Champ Car World Series spec Panoz DP01, with a Cosworth engine, was run in an IndyCar Series points event in the 2008 Toyota Grand Prix of Long Beach. In 2012 the series adopted the Dallara IR-12 chassis as a cost control method, and IndyCar negotiated a price of $349,000 per chassis. The new specification also improved safety, the most obvious feature being the partial enclosure around the rear wheels, which acts to prevent cars ramping up over another vehicle's back end. 2017 DW12 chassis driven by Mikhail Aleshin during Carb Day before the 2017 Indianapolis 500. This was driven with the Honda version of the Separate Manufacture Aerokits that were used for the 2015-2017 seasons. This chassis was intended to support multiple aerodynamic kits, but introduction of these was delayed until 2015 with teams citing costs. After the events of the 2011 IZOD IndyCar World Championships the chassis was nicknamed DW12 in honour of Dan Wheldon. The 2017 season was the third and final year contested with the Chevrolet and Honda aero kits outfitted to the Dallara DW12 chassis. Beginning in 2018, all DW12 Safety Cell chassis were fitted with a universal bodywork kit. Digital renderings for the common bodywork kit, referred to as the 'IR18' car, were released in early May 2017. The car was officially unveiled in late July, and the universal aero kit became known as the UAK18 bodywork. 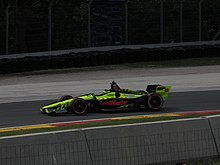 The IR18 chassis in its Road Course configuration, driven by Sébastien Bourdais during the 2018 Kohler Grand Prix at Road America. The bodywork is inspired by CART's 1990s and 2000s livery. The redesigned "spec" aero kit, which both reduces aerodynamic downforce and reduces team and manufacturer design development costs. The universal Aero Kit was designed without the wheel arches of the DW12 chassis, which were deemed ineffective, and without an air inlet above the cockpit, a first for an IndyCar Series chassis (most Champ Car chassis had been designed that way). The new Aero Kit also has fewer small aerodynamic pieces which can become broken or dislodged, with the intent to reduce the amount of debris that ends up on the track and expenses from repairs. For the transmission gearboxes, all IndyCar Series cars currently use a semi-automatic transmission with 6-speed gearbox operated by paddle shifters and supplied by Xtrac since the 2008 season but with assistance. From 1996 to 2007, all IndyCar Series cars used sequential manual transmission with a 6-speed gearbox operated by the gear lever. The clutch of all IndyCar Series cars are carbon with steel housing 3-plate clutch operated by foot-pedal in 1996–2011 later hand-paddle steering wheel in 2012–present and provided by AP Racing. Mechanical limited-slip differentials are also allowed and constant velocity joint tripod driveshafts are also used. All IndyCar Series cars drivetrain are currently rear mid-engine with rear-wheel-drive layout. Since the formation of IndyCar Series in 1996, the brake package of IndyCar Series were only slimmer carbon brake rotors with 4-pot brake calipers and carbon pads on all-oval races until 2011. The thicker steel brake rotors with 6-pot brake calipers and carbon pads were introduced in 2005 for road and street course races for stronger braking while approaching sharper turns even hairpins. From 2012 onwards, IndyCar Series ditched the steel brake discs in favour of carbon brake rotors in all types of tracks but the caliper configuration remained same as 1996–2011. PFC currently supplying brake packages for all IndyCar Series cars since 2017 season and later increased their involvement from 2018 season (supplying the calipers). Previously Brembo supplied the brake packages in 2012–2016 and Alcon in 2003–2011. BBS and O.Z. Racing are currently supplying forged wheels since 1996. Firestone is currently the sole tire supplier for the series since the 2000 season to date. Previously Goodyear supplied tires from 1996 to 1999 for several teams. The IndyCar Series runs the bespoke compounds since 1996 and re-profiled in 2003. The front tire sizes are 305/45-R15 (10.0/25.8-R15) and the rear tire sizes are 415/40-R15 (14.5/28.0-R15). The compounds of IndyCar Series tires are alternative and prime for dry condition races, while treaded tires only available for road/street wet condition races for safety reasons. The suspension of all IndyCar Series cars is double A-arm, pushrod, with third spring and anti-roll bar configuration multilink. For the safety equipment, all IndyCar Series cars seating uses carbon-fibre shell driver's seat with 6-point seat belts. The steering wheel of all IndyCar Series cars are free design with multiple buttons (similar to Formula One). All IndyCar Series cars are also equipped with Pi Research Sigma Wheel Display data display units in 2001–2017 and later replaced by Cosworth CCW Mk2 steering wheel and also new Configurable Display Unit 4.3 display dashes for other competitors from 2018 onwards. The cockpit of all IndyCar Series cars are still open cockpit but protected by zylon, foot protection bulkhead and also cockpit padding. The fuel tank of all IndyCar Series cars are made of rubber and is covered with a Kevlar-fitted blanket for extra protection in side impacts safety cell supplied by Fuel Safe. Currently the fuel tank capacity of all IndyCar Series cars are 18.5 US gal (70 L) since 2012–present. Previously, the fuel tank of all IndyCar Series cars were 22 US gal (83 L) in 2007–2011, 30 US gal (114 L) in 2004–2006, and 35 US gal (132 L) in 1997–2003. All IndyCar Series cars carry a McLaren-provided engine management (Electronic Control Unit) (TAG-400I model) since 2011. Live telemetry is used only for television broadcasts, but the data can be recorded from the ECU to the computer if the car is in the garage tents and not on the track. Previously Motorola supplied IndyCar Series ECU in 2003–2010 for Honda-powered cars, also Denso supplied IndyCar Series ECU in 2003–2005 for Toyota-powered cars and also Zytek supplied IndyCar Series ECU in 2002–2005 for Chevrolet-powered cars. Rear view mirrors for all IndyCar Series cars are fully mandated to easily viewing opponents behind. At its inception, the IRL used methanol racing fuel, which had been the de facto standard in American open-wheel racing since the 1964 Indianapolis 500 Eddie Sachs – Dave MacDonald crash. Methanol had long provided a safer alternative to gasoline. It had a higher flash point, was easily extinguishable with water, but burned invisibly. With the IRL's introduction of night races in 1997, the burning of methanol fuel was visible for the first time, seen with a light blue haze. With this in mind, as a safety feature to make it more visible in case of fire during daylight hours, additional mixtures were placed in the fuel, so it would burn with a color. In 2005, driver Paul Dana brought the sponsorship of the Ethanol Promotion and Information Council (EPIC) to his IndyCar team. EPIC is a consortium of ethanol producers that advocate the increased use of ethanol. EPIC was anxious to address public concerns that ethanol use led to engine damage and poor performance when used in street cars. As a marketing effort, it was believed that sponsoring an IndyCar could be used as a tool to promote education and awareness of ethanol use, and to curb the spread of erroneous information. Dana was killed in a crash in 2006, but the IRL already begun a transition to ethanol fuel. For the 2006 season, the fuel was a 90%/10% mixture of ethanol and methanol. Starting in 2007, the league advertised "100% Fuel Grade Ethanol", the first competitive series to utilize renewable fuel. The mixture is actually 98% ethanol and 2% gasoline for races held in the United States. It was provided by Lifeline Foods of Saint Joseph, Missouri. The additives satisfied the U.S. government's requirements that the alcohol be unfit for human consumption, and added visible color in case of a fire. However, the 2010 São Paulo Indy 300, held in Brazil –outside of the U.S. regulations– utilized a full E100 mixture, the first instance in the sport. To compensate for the gain of power due to the use of ethanol, the displacement was reverted to 3.5 L. Since ethanol gets better fuel mileage than methanol, the fuel tanks in the car were reduced in size (30 US gallons to 22 US gallons). Compared to methanol, human contact with the current IndyCar fuel is much less harsh, and the fumes much less irritating. Unlike methanol, ethanol is not caustic and does not cause chemical burns when it comes in contact with skin. In May 2010, Sunoco became the official fuel of the series starting in 2011, running through 2018. Sunoco is still the official fuel of IndyCar. Sunoco will work with APEX-Brasil and UNICA to provide ethanol for the series. Starting from 2012 season the Ethanol fuel blend rate has been reduced to 85% blend to match the mix of road car engines. Speedway LLC will takeover as series official fuel supplier beginning from 2019 season onwards. The initial 1996 IRL season, as well as the first two races of the 1996–97 season, featured engines with specifications left over from the rival CART series competition. Those chassis/engine combinations were essentially under the same rules utilized by teams which participated in the 1995 Indianapolis 500, which was sanctioned by USAC. V-8 powerplants were allowed the typical 45 inHg (22.1psi) of pressure boost. The Menard-Buick V6 engine used in 1996, however, was an updated powerplant from the 1995 version. In addition, the V-6 stock block engines (Buick-Menard) were allowed 55 inHg (27.0psi) of boost at all races, instead of just at Indianapolis. During the CART era, V-6 stock blocks were only allowed 45 inHg at all races outside of Indy, which was a decided disadvantage and left the engine out of favor. Starting in 1997, IRL cars were powered by 4.0 L V8, methanol-burning, production-based, normally aspirated engines, produced by Oldsmobile (under the Aurora label) and Nissan (badged as Infiniti). Per IRL rules, the engines sold for no more than $80,000, and were rev-limited to over 10,000 rpm. They produced around 700 hp (520 kW). The engine formula was changed with the 2000–2004 formula. The displacement was dropped down from 4.0 L to 3.5 L, and the requirement for the block to be production-based was dropped. This formula was used through 2003. In 2004, in the wake of several crashes including the fatal crash of Tony Renna and the severe crash of Kenny Bräck, the displacement was reduced 3.0 L to curb top speeds. Infiniti's engines, though reliable, were significantly down on power compared to the Auroras in 1997, leading many of the teams that had initially opted for the Infiniti to switch. By the end of the 1998 season, only a handful of low-budget teams were using the Infiniti. However, early in the 1999 season, Cheever Racing, a well-funded team, was brought on to develop the engine with team owner Eddie Cheever expanding the team to two cars and bringing on his brother Ross Cheever as a test driver. By 2000, the engine had improved markedly and Cheever captured the marque's first win at Pikes Peak International Raceway. However, despite the improved success, few teams made the switch to the Infiniti and the company left the series after the 2002 season to focus on powering the league's new Infiniti Pro Series (now Firestone Indy Lights). As part of General Motors' discontinuance of the Oldsmobile name, the Olds engine was rebadged as the Chevrolet starting with the 2002 season. However, the effort could not compete with the Toyota and Honda programs starting in 2003. In August 2003, Chevrolet announced to the public its "Gen IV" motor, a rebadged Cosworth motor for competition. At the time, Cosworth was owned by Ford. On November 4, 2004, Chevrolet stated that it would be ending its IRL engine program effective with the end of the 2005 season, citing costs that exceeded value, according to then GM Racing Director Doug Duchardt, "The investment did not meet our objectives." In 2003, Toyota came to the IRL from the rival CART series. Toyota won their first race in Miami, as well as the Indianapolis 500 and the series title. However, Toyota had just one podium in the last seven races of 2004, and only Penske Racing fielded competitive Toyota-powered cars in 2005. In November 2005, Toyota company officials announced the company's withdrawal from American open-wheel racing and the immediate discontinuation of its IRL program, coinciding with its entrance into NASCAR's Craftsman Truck Series in 2004, and its discontinuation of its IMSA program. Honda also came to the IRL in 2003, and by 2005 was clearly the dominant engine manufacturer. Starting in 2006, they became the only engine manufacturer in the IndyCar Series, and continued in that capacity through 2011. The Honda V8 engine was co-developed by Ilmor, which is part owned by Roger Penske for tune up, engine maintenance, arrangement and trackside support. During that time, since the IndyCar Series had only one engine manufacturer, Honda focused on minimizing engine failure and minimizing costs instead of defeating rivals. As such, the engines were moderately de-tuned. The engines proved themselves to be quite durable—there had been no engine failures at Indy from 2006 to 2010, which also lowered the number of crashes. Most of the engines, including those used for the Indy 500, are used for multiple races and were intended to last 1,200 miles (1,931 kilometers) between rebuilds. The Honda engines were only available via lease arrangement from Honda, which, for the 2010 full season, cost $935,000 U.S. per season, per car. The current, fourth-generation IndyCar formula was presented in 2012. The engines are now 2.2-liter twin turbo V-6's putting out estimated 550–750 hp depending on the level of boost used. They are limited to 12,000 rpm. Engines are currently supplied by Chevrolet and Honda. Starting in the 2011 season, McLaren has supplied its TAG-400i engine control unit. Currently Bosch (Chevrolet) and NGK (Honda) providing spark plugs for all IndyCar Series cars since 2012. Previously NGK was exclusive spark plugs supplier in 2006–2011 when Honda was the standard IndyCar Series engine supplier. Previously Denso also was spark plugs supplier in 2003–2005 for Toyota-powered cars. The current IndyCar Series top speed is approximately 235–240 mph (378–386 km/h) on the Indianapolis Motor Speedway oval layout. On intermediate and long ovals the top speed is approximately 220 mph (354 km/h), and on road/ street courses and short ovals, it is approximately 205–210 mph (330–338 km/h). Max Chilton during practice for the 2018 Grand Prix of Portland. As part of the 2012 chassis, aero kits were also set to be introduced. The introduction of such kits was postponed until 2015, leaving all cars running the same aero package provided by chassis supplier Dallara. In 2015, teams began running aero kits developed by their engine manufacturers. The kits, while increasing speeds and offering clear distinction between the two manufacturers, did lead to significant cost increases. Further, Chevrolet's aero kit was the more dominant with Honda only able to mount a competitive charge on ovals due to having slightly better engine power. While Honda was able to make gains in 2016, after two years of development the kits are frozen for 2017 and starting in 2018 all cars will run the same aero package again. To further help reduce costs, IndyCar will allow teams to shop for competitively priced non-safety related parts such as brakes instead of mandating parts from specific suppliers. IndyCar had hoped to set a new speed record at the Indianapolis Motor Speedway by 2016 with the introduction of aero kits and the development work associated with them. However, after a series of safety concerns during practice for the 2015 Indianapolis 500 with the Chevrolet aero kit package, this is now seen as unlikely to happen in the near future. Races in the IndyCar Series as of the 2019 season. Red dots represent ovals, blue dots represent road courses, black dots represent street circuits. Indianapolis hosts one oval race and one road course race. After split from IndyCar World Series, the Indy Racing League began as a pure oval race series. Alongside the prestigious Indy 500, the 1-mile oval tracks of Phoenix and Loudon were added to the schedule. In addition, the Hulman family oversaw the planning for the construction of a new track at Walt Disney World in Florida. On the new Walt Disney World Speedway the first IRL race took place in January 1996. After the series was established, ovals used mainly by NASCAR were raced on. These included the newly built racetracks in Las Vegas and Fort Worth as well as the existing speedways of Charlotte and Atlanta. After a series of major accidents at Charlotte and Atlanta and a lack of spectator turnout, however, the ovals of Atlanta, Charlotte and Las Vegas were removed from the calendar. For the 2001 season, the IRL also began to race on ovals that were being used by CART. The circuits of Homestead and Gateway changed from CART to the calendar of the IRL, with the race at Walt Disney World being dropped in favor of Homestead. In addition, the new 1.5-mile ovals of Kansas, Kentucky and Chicagoland were added. These tracks were the backbone of the IRL until 2011. After Roger Penske sold his racetracks (Fontana, Michigan and Nazareth) to the International Speedway Corporation. The IRL began racing at these tracks in the 2002 season; unfortunately, Nazareth Speedway only held three races before ISC closed the track in 2004. Michigan Speedway was raced until the 2007 season and the Auto Club Speedway, formerly California Speedway, until the 2015 season. The first major change took place in the 2005 season. For the first time in the history of the IRL, races were held at road and street courses. A street course race in St. Petersburg has been added to the calendar. In addition, races at Sonoma and Watkins Glen, the two NASCAR road course circuits were added. In 2007, the Mid-Ohio Sports Car Course was added. After the Champ Car World Series was dissolved in 2008, some of their races were taken over by the IndyCar Series. These are the street races of Long Beach, Detroit and Toronto, and starting in 2016, Road America. In addition, a road course race at Barber Motorsports Park in Birmingham and an oval race at Iowa Speedway were scheduled and held. The second big change took place in the 2012 season. In 2011, the series returned for the first time since 2000 at the Las Vegas Motor Speedway. In the meantime, however, this circuit was rebuilt for NASCAR, increasing the banking of 12 degrees to progressive banking up to 20 degrees. This new configuration led to tight pack racing. To make matters worse, a $5 million bonus was offered if a driver from another series or racing discipline win the race, as it would be the last race for the current chassis, a record 34 cars entered this race (the Indy 500 field, by comparison, is capped at 33 cars). As a result of pack racing in combination with many cars and inexperienced drivers, a major crash occurred 13 laps in, injuring several drivers and killing the defending Indy 500 winner Dan Wheldon. This event led to massive media criticism of oval races for open-wheel vehicles. As a result, and also because of the gradual loss of spectators in the previous seasons, all oval races on 1.5-mile speedways, save for Texas Motor Speedway, were removed from the calendar. Only the oval races in Indianapolis, Milwaukee, Iowa, Texas and Fontana remained for the next three seasons. Instead, more races were held in cities, including Houston, Baltimore, and São Paulo. In the following years the calendar stabilized, with the return of races in Phoenix, Pocono and Gateway, despite the races at Fontana and Milwaukee being removed from the schedule. Since the 2015 season, the calendar consists of 1/3 of oval races, 1/3 of races on permanent natural road courses, and 1/3 of races on temporary street courses in larger cities. Like other governing bodies, IndyCar awards points based upon where a driver finishes in a race. The top three drivers are separated by ten and five points respectively (see this section table). The fourth through tenth-place finishers are separated by two points each. Eleventh through twenty-fifth are separated by one point each. All other drivers who start the race score five points. Bonus points are awarded as follows: one point to the driver that earns the pole each race (except at Indianapolis), one point to any driver that leads at least one lap in a race, and two additional bonus points to the driver that leads the most laps each race. As of 2014, the Indianapolis 500 now awards double points for finishing place. In the case of a tie, IndyCar Series will determine the champion based on the most first-place finishes. If there is still a tie, IndyCar Series will determine the champion by the most second-place finishes, then the most third-place finishes, etc., until a champion is determined. IndyCar Series will apply the same system to other ties in the rankings at the close of the season and at any other time during the season. Buddy Lazier 33 91 Hemelgarn Racing Dallara Oldsmobile Airton Daré Al Unser, Jr.
Tony Kanaan 30 11 Andretti Green Racing Dallara Honda Kosuke Matsuura Sam Hornish, Jr.
^ In 1996, Scott Sharp and Buzz Calkins were tied in the final standings and were declared co-champions. Calkins had one win, as opposed to Sharp being winless, but no tiebreakers were in place. ^ Although it was Dixon's first year in IndyCar and he won the championship, he was not considered a rookie because of earlier Champ Car experience. ^ In 2006, Sam Hornish, Jr. and Dan Wheldon tied in the final standings for first place. This time, IndyCar had tiebreakers, and Hornish clinched the championship by having more victories than Wheldon during the season. ^ Although no report was officially released about it in 2008, IndyCar.com confirmed in 2009 that Danica Patrick being named Most Popular Driver was her "fifth consecutive" win of the award. ^ The 2011 season was originally supposed to end at Las Vegas, but the death of Dan Wheldon in an early crash caused IndyCar to abandon the race. The points reset to the standings as of the scheduled penultimate race at Kentucky, with Franchitti winning the championship. ^ Posthumously awarded to Dan Wheldon by a vote of members on the official IndyCar Nation website. This marked the first time a part-time driver won the award. ^ Dixon and Montoya finished tied in points, Dixon winning the title based on wins (3 to 2). ^ Posthumously awarded to Justin Wilson by a vote of members on the official IndyCar Nation website. This marked the second time a part-time driver won the award. ^ Posthumously awarded to Bryan Clauson by a vote of members on the official IndyCar Nation website. This marked the third time a part-time driver won the award. Starting in 2010, the series began recognizing two sub-set championship trophies alongside the season championship. The two primary disciplines of IndyCar (ovals and road courses) were named after respective legends of the sport: A. J. Foyt and Mario Andretti, respectively. The discipline trophies were created as the series moved closer to a 50/50 split of ovals and road courses, and to encourage incentive for part-time entries – specifically those that might prefer to compete in one discipline over the other. This arrangement also creates a reasonable opportunity for a team to employ the services of two drivers for one season entry. A team could hire a specialist for ovals and a specialist for road courses, whom combined would maintain the entry's total owner points but individually work towards their own separate disciplines. Note that street courses are included as part of the road racing discipline. Since 2013, the individual discipline trophies have received markedly less fanfare. ^ The first American championship car season took place in 1905. ^ "IndyCar lands title sponsor". IndyStar.com. 2009-11-03. Archived from the original on November 6, 2009. Retrieved 2010-08-23. ^ "Indy Racing and Northern Light end partnership". Motorsport.com. 2002-01-07. Archived from the original on 2008-05-03. Retrieved 2010-08-23. ^ "IRL Forms Innovative Marketing Agreement With Gene Simmons & Richard Abramson". GeneSimmons.com. 2006-01-10. Archived from the original on 2013-01-10. Retrieved 2010-08-23. ^ "IRL caught in TV war". Indianapolis Business Journal. Archived from the original on 2016-05-08. Retrieved 1 May 2016. ^ "Indianapolis 500 stays in the family with sponsor deal". USA Today. Gannett Company. Archived from the original on 2016-04-25. Retrieved 1 May 2016. ^ "Indy 500 gets presenting sponsor in 3-year deal worth about $5 million". Indianapolis Star. Gannett Company. Archived from the original on 2016-02-09. Retrieved 1 May 2016. ^ "Izod is IndyCar Series title sponsor". autoweek.com. 2009-11-06. Archived from the original on December 12, 2009. Retrieved 2010-10-29. ^ "Izod dropping IndyCar Series sponsorship". Indianapolis Business Journal. September 27, 2013. Archived from the original on 2013-10-24. Retrieved December 1, 2013. ^ "NBC Sports is riding co-pilot in IndyCar's title sponsor search". Advertising Age. Archived from the original on 2018-08-30. Retrieved 2018-08-31. ^ "IndyCar Names NTT as IndyCar Series Title Sponsor, Official Technology Partner". Sports Video Group. Retrieved 2019-01-19. ^ "IRL Adds TNN to its family as all '98 races on broadcast TV". Sports Business Daily. 1997-12-04. Archived from the original on 2011-01-04. Retrieved 2010-08-23. ^ "IndyCar Announces New TV Deal". insideindianabusiness.com. 2008-08-07. Archived from the original on 2013-05-07. Retrieved 2010-10-29. ^ "2016 Schedule" (PDF). Archived (PDF) from the original on 2016-07-01. Retrieved 5 June 2016. ^ "INDYCAR SIGNS MULTIYEAR MEDIA RIGHTS PACKAGE WITH NBC SPORTS GROUP". IndyCar Series. March 21, 2018. Archived from the original on 2018-03-22. Retrieved March 23, 2018. ^ "NBC SPORTS GROUP AND INDYCAR PARTNER ON COMPREHENSIVE, MULTI-YEAR MEDIA RIGHTS AGREEMENT" (Press release). NBC Sports Group. March 21, 2018. Archived from the original on 2018-03-24. Retrieved March 23, 2018. ^ Ayello, Jim (March 21, 2018). "The Indy 500 will soon have a new TV network". The Indianapolis Star. Archived from the original on 2018-03-22. Retrieved March 23, 2018. ^ Steinberg, Brian (March 21, 2018). "NBC Sports Grabs Indianapolis 500 Rights From ABC After 54 Years". Variety. Archived from the original on 2018-03-22. Retrieved March 23, 2018. ^ "TV Feed". About Five. Archived from the original on 2009-08-17. Retrieved 2010-08-23. ^ "IndyCar's 2012 Chassis: Lessons Learned from the Car of Tomorrow". Archived from the original on November 19, 2011. Retrieved 14 September 2015. ^ "Dallara named IndyCar chassis supplier for 2012". Archived from the original on 2012-10-12. Retrieved 20 January 2013. ^ "Aero Kit Discussions, Decisions Continue To Evolve". Archived from the original on 2 January 2013. Retrieved 20 January 2013. ^ "Dallara DW12, named after the late Dan Wheldon, transformed IndyCar". Archived from the original on 2013-03-03. Retrieved 20 January 2013. ^ "Sunoco to Become Official Fuel of Indy Racing League in 2011". IndyCar Series. Marketwatch.com. 2010-05-27. Retrieved 2010-05-27. ^ a b "IRL Aurora V8". Autoworld.com. 2001-03-29. Archived from the original on 2010-01-08. Retrieved 2010-08-23. ^ "IRL Engine Specifications Announced for 2000–2004 Seasons". Motorsport.com. 1998-11-17. Archived from the original on 2011-06-06. Retrieved 2010-08-23. ^ "Chevy revs for 2002 IRL season". SAE Intl. Archived from the original on 2013-05-05. Retrieved 2010-08-23. ^ Reitz, Victoria (2006-05-25). "Leveling the playing field". MachineDesign.com. Archived from the original on 2008-05-02. Retrieved 2003-04-13. ^ "IndyCar confirms rule changes, cost savings". Racer.com. 2010-01-12. Archived from the original on 2010-05-25. Retrieved 2010-08-23. ^ "Fan Info – INDYCAR 101 – The Car Dallara – Indycar Series Chassis Specifications". indycar.com. Archived from the original on 2014-10-03. Retrieved 2014-10-07. ^ a b "You Think Driving An Indy Car Is Easy?". 17 August 2012. Archived from the original on 2016-10-19. Retrieved 2016-10-15. ^ "Aero kit development frozen for 2017; Series plans universal car in 2018". Archived from the original on 2017-02-20. Retrieved 2017-02-20. ^ Glendenning, Mark. "IndyCar wants Indianapolis speed record beaten by 2016". Archived from the original on 2017-02-20. Retrieved 2017-02-20. Wikimedia Commons has media related to IndyCar. This page was last edited on 16 April 2019, at 09:32 (UTC).